On May 3, 2019, the application submission period for the MSc in HRM begins, which runs until June 3, 2019. The submission of applications for the next academic year will begin soon. 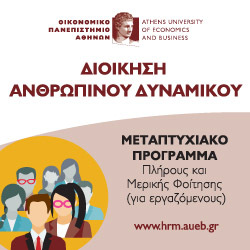 The 9th HRM Conference will be held with the participation of Greek and foreign speakers on 14-06-2018. The 14th Graduation Ceremony of our program was held on April 19th. 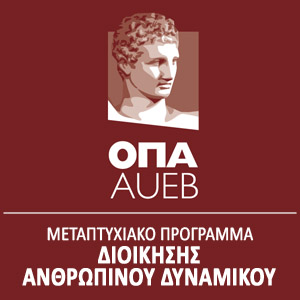 Distinction of Associate Professor M. Vakola for scientific publication. To MSc in Human Resources Management welcomes you to the new publishing initiative entitled 'HR Case Study Series'. Ms. Anastasia Makarigaki speaks to the issue of ICAP for female entrepreneurship. 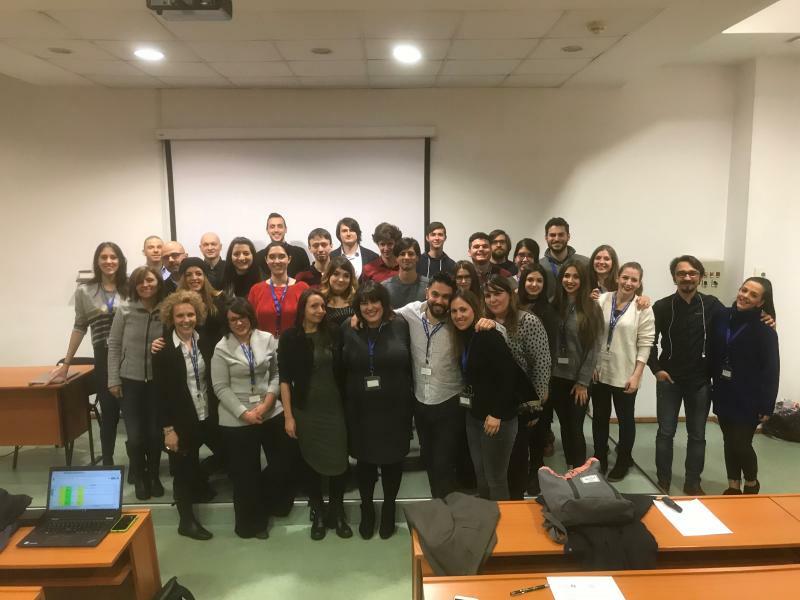 Students of the full-time program attended the ReGeneration training. The MSc in Human Resource Management is among the supporters of HR Awards.